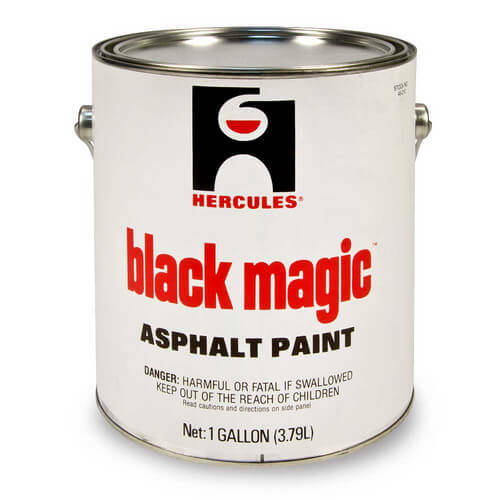 45210 - Hercules 45210 - Black Magic Asphalt Paint - 1 gal. Black Magic Asphalt Paint - 1 gal. Black Magic asphalt paint contains an extra-high concentration of gilsonite resin for permanent waterproof, weather resistant, rustproof protection, especially for metal surfaces in contact with masonry. It can be used on all surfaces including masonry, wood, furnaces, boilers, piping, tank and sheet metal. This product is not for use on flue pipes.